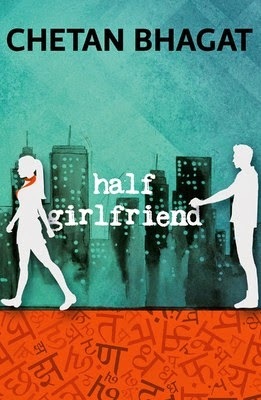 Half Girlfriend is the much-awaited novel by the famous Indian novelist, Chetan Bhagat. It delves into new and different dimensions that relationships have in today’s world. 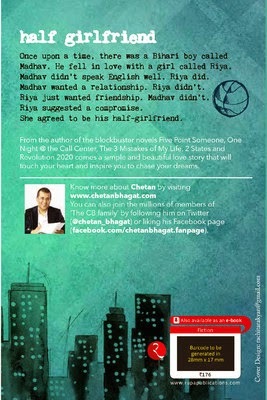 Chetan Bhagat is a famous contemporary Indian writer, speaker, columnist and novelist. He was born in New Delhi in 1974. Considered one of India's most popular writers of fiction, Chetan Bhagat is an alumnus of the Indian Institute of Technology, Delhi and the Indian Institute of Management, Ahmedabad. Before becoming a fulltime writer, Chetan worked as an investment banker for a few years. The New York Times called him ‘the biggest selling English language novelist in India’s history’. Some of Chetan's other notable works are Five Point Someone, One Night at the Call Centre, 2 States, The 3 Mistakes of My Life, and Revolution 2020. Three of his books have been adapted into Bollywood movies, two of which went on to become massive hit movies: 3 Idiots and Kai Po Che!